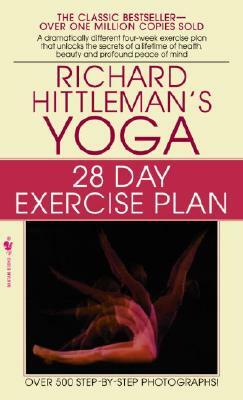 This short time is all it takes to master the 38 simple exercises in this book. You will quickly grasp the ancient Yogic secrets of breathing, concentration, nutrition and muscle control—in just minutes of your spare time and without any discomfort. Day by day you will notice astonishing results—weight loss, greater firmness, more energy, relief from pain, freedom from stress and an overall feeling of youthfulness and well-being. This Yoga regimen will become a lifetime program to keep your whole organism radiant with natural beauty and health! Richard Hittleman, a pioneer in introducing yoga to the masses, founded his first school of Yoga in Florida in 1957, and produced his first television series, Yoga for Health, in 1961. His television programs and many books (including Bantam's Introduction to Yoga) helped to popularize Yoga in the United States. Richard Hittleman passed away in 1991.